Watch out for the Grand opening of UNIQLO SM CDO DOWNTOWN PREMIER this Friday, June 30, 2017 with Miss Universe 2015 Pia Wurtzbach as guest of honor. Uniqlo is a Japanese apparel retail brand that produces amazing number of unique products because their business model unifies the entire clothes-making process from planning through design, production and retail. UNIQLO LifeWear is high-quality, innovative clothing that is universal in design and comfort and made for everyone, everywhere. Uniqlo SM CDO Downtown Premier is the 3rd Store in Mindanao. The other 2 branches are located at SM Lanang Premier and SM City Davao, which will showcase the full line up of Uniqlo LifeWear and high quality clothing collection for everyone. 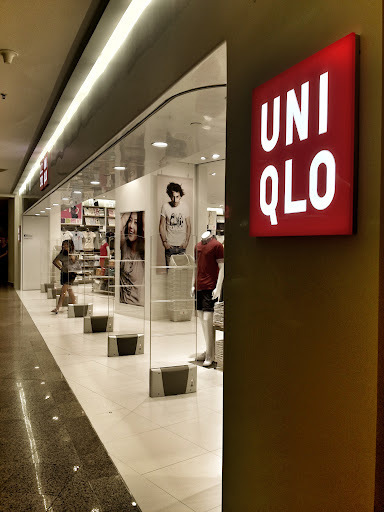 "The first round of store openings will add over 3,000 square meters of new shopping space in three locations, bringing the Uniqlo LifeWear shopping experience to Dabawenyos and Kagay-anons," Uniqlo said in a statement. "We are committed to growing our business in Mindanao, and look forward to delighting our customers here for years to come. We aim to make the lives of the Filipinos better through our innovative and high-quality Uniqlo Life Wear pieces," said Katsumi Kubota, Uniqlo Philippines chief operating officer, in a statement. As with other UNIQLO stores around the Philippines, the store in Cagayan de Oro will showcase a full and colorful line-up of UNIQLO LifeWear essential for men, women, kids and babies. The line-up includes UNIQLO shirts, pants, dresses, proprietary clothing technology products such as AIRism, HEATTECH, UNIQLO SPORT, as well as the Hana Tajima for UNIQLO collection of modest wear. Apart from the full range of LifeWear items, exclusive offers for Kagay-anons will be available from June 30 to July 6 on a wide range of items to celebrate the store opening.